Find the best price forLEGO DC Comics Super Heroes: Sidekick Showdown! Paperback, Published in Aug 2016 by Scholastic Inc. When Harley Quinn(TM) and her friends capture Superman(TM), Batman(TM) and Wonder Woman(TM), it's up to their sidekicks to save the day! Robin(TM), Batgirl(TM), and Supergirl(TM) willl have to use teamwork and friendship to get the job done-but will it be enough?! 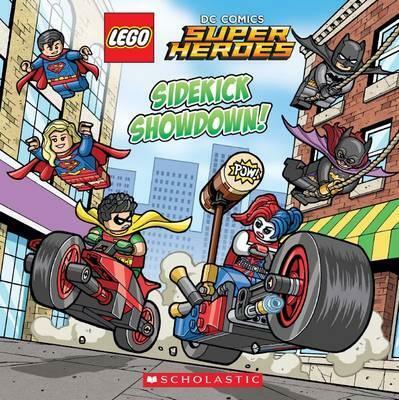 Compare New Book Prices for LEGO DC Comics Super Heroes: Sidekick Showdown!